I had a not-so pleasant experience earlier this year. I’m going to tell you about it because perhaps those of you who are also in your late 20’s (or have been there) will know exactly what I’m talking about. I woke up, rolled out of bed, threw on my workout gear and went to the gym, just like I normally do. As I was training, I couldn’t help but notice that my face looked… tired? Yes, but it was 5am. Dull? Yes, but I didn’t have any makeup on. Whatever, I thought, and stopped thinking about it for a while. Then I went home, showered, and started doing my makeup. Even when I was done, my skin still looked… just… off. It was like I’d woken up and all of the sudden I looked old. What the heck was going on? Sadly it didn’t go away. It wasn’t just a bad night’s sleep or a stressful week. Call it a near-30 crisis, but whatever it was, it served as a wake-up call for me to start paying closer attention to my skin. 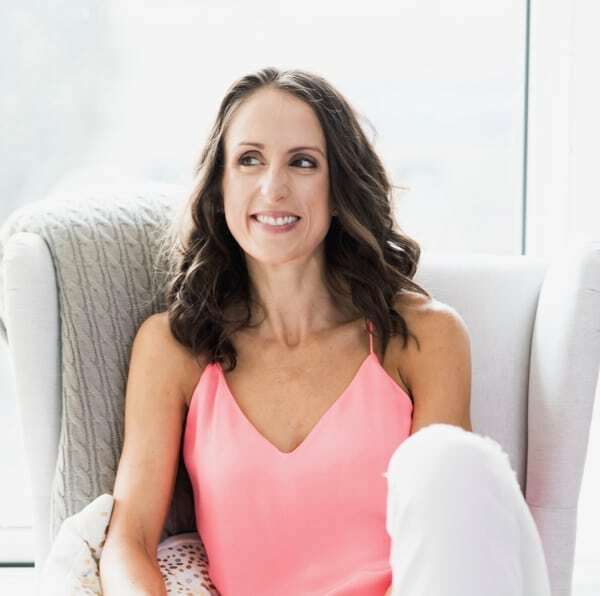 And so, I went down the rabbit hole and threw myself all-in to learning more about skin health – the biological and environmental reasons behind why wrinkles and discolouration happens, the ingredients, the products – all the things. I sought out some professionals and skin experts, and had them speak their mind on all the items in my bathroom cabinet and makeup bag. Both got a makeover. My skincare regimen has transformed from being one of an extremely acne prone, oily-skinned teenager to a normal-skinned 29-year-old who wants to do everything she can to keep her skin looking healthy. 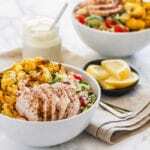 I figured that if I can go at this with as much intention and commitment as I do with eating a clean and nutrient-dense diet, the results can only be favourable. Part of that commitment has to do with ingredient quality. Clean, green, organic and natural beauty: what does that even mean? 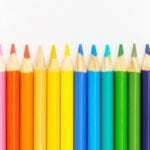 Google is overflowing with articles about the harmful effects of conventional personal care products and cosmetics. Perhaps you, like me, turned a blind eye. Is the risk really that high? Are these ingredients really that dangerous? Sadly, it looks like it’s true. Our options for safer personal care and cosmetic products are growing, but there’s a ton of healthwashing and clever marketing out there that can trick even the most savvy of us. From the shampoo on your head to nail polish on your toes – are part of an industry where regulation is not standardized. Thousands of chemicals found in conventional products are banned in the EU, yet in North America they’re 1) allowed, and 2) sometimes not labelled as such. Yikes. Sadly, none of these actually guarantee that you’re not being exposed to chemicals that contribute towards long-term health issues. 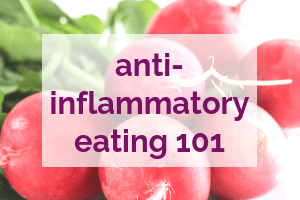 It’s important to look deeper and understand ingredients, something I hadn’t invested the effort in – until now. So how are we supposed to know what’s actually safe? The Environmental Working Group’s Skin Deep Database allow you to scan or manually look up products to see whether their ingredients are safe, and the SkinDeep app lets you do this on the go. If the product you’re considering isn’t rated, you can also search by ingredient if it contains one you’re suspicious of. Credo Beauty and The Detox Market are dedicated to stocking high quality, clean and green products, and I like knowing that they’re doing some of the brand vetting + ingredient investigation work for me. Until legislation changes and we can trust that what’s available to us is safe, I think it’s really important to be conscious label readers and educate ourselves on what to look for. 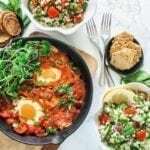 It’s like reading food ingredient labels – the crazier and more unpronounceable, un-natural-sounding the words get, the more reason there is to be skeptical. It’s also important to be clear on the goals you have for your skin, because even safe + clean ingredients might be working counter-productively to that. As I said, I’ve been experimenting with a ton of beauty products this year, seeking those that are clean, safe, AND actually work. To save you time when buying gifts for the ladies in your life (or yourself!) 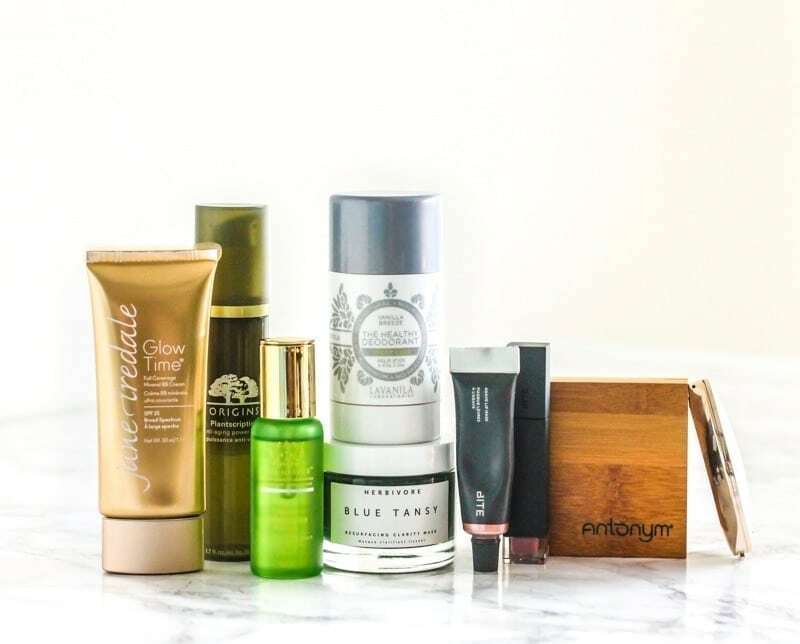 I’ve rounded up some of my faves in this Natural Beauty Holiday Gift Guide. Psst! In case you missed it, you can find my Holiday Gift Guide for the Superfoodie’s Holistic Healing Kitchen here. 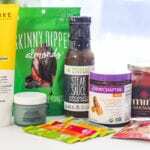 Disclosure: This post contains some affiliate links, but I have not been monetarily compensated by any of the brands mentioned. These are all products I have personally used and endorse, and all opinions are my own. 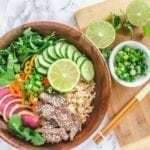 By clicking on affiliate links, I receive a small commission that goes towards making Eat Spin Run Repeat a more valuable source of health + wellness information and inspiration. Thank you so much for your support! 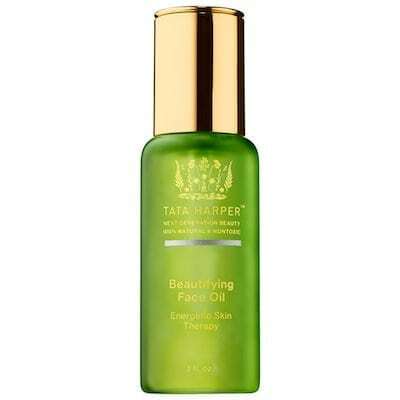 If you start Googling clean beauty products, expect to see Tata Harper Skincare early in your search. The Beautifying Face Oil is an all-in-one cocktail of 17 active plant-based ingredients that work to re-energize, hydrate, brighten and firm the skin. The formula is loaded with antioxidants, and several of the oils in the formula such as calendula help to heal and boost collagen production which declines as we get older. Like some of the other facial oils, marula is high in antioxidants, essential fatty acids, and contains 4x the vitamin C of an orange. It’s a collagen builder, absorbs quickly, and can be used by people of all skin types to reduce lines, hydrate deeply and improve skin elasticity. 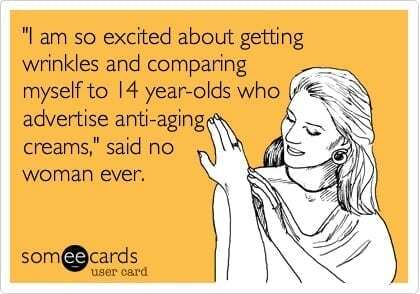 (Just ask the women of South Africa who have made it part of their beauty regimens for years!) 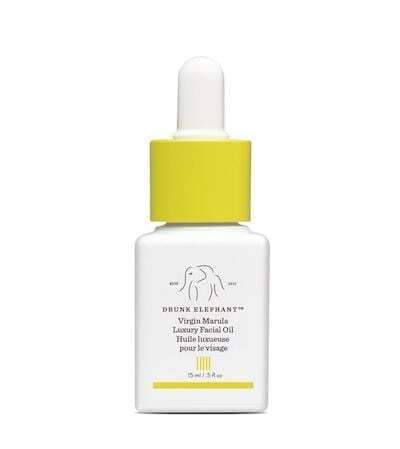 The one I’ve got by Drunk Elephant is cold pressed (the way oils should be) for maximum nutrient retention and potency. 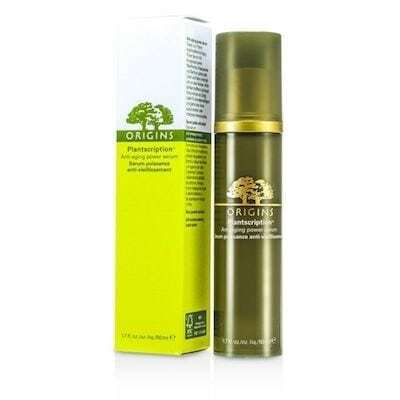 Why it’s great: Origins Plantscription Anti-Aging Power Serum is formulated with 20 plant extracts that have anti-aging properties, all in one potent product that is meant to reduce lines, lift and plump up (such a funny term) the skin. It’s kind of like fluffing up a pillow, but for your skin! 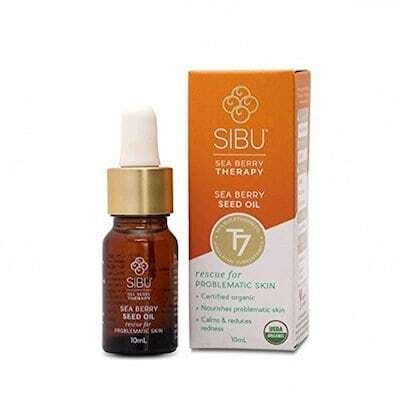 Why it’s great: I have bottles of Sibu’s Moisturizing Body Cream everywhere – in my car, purse, gym bag, bathroom, desk at work – I’m a bit of a junkie! It smells nice and citrusy (and natural – nothing overpowering), provides the benefits of sea buckthorn like the oil above, and hydrates without leaving my body feeling greasy. It’s also great in situations where you find yourself travelling, or if you’ve forgotten your usual facial oils and need to give your skin a drink ASAP. Confession: of all skincare products, masks and oils are the ones that get me the most excited. For the past couple of months I’ve been doing face masks a few times each week as a self care ritual (highly recommended!) and the ones listed below are on my list of tried-and-loved picks. 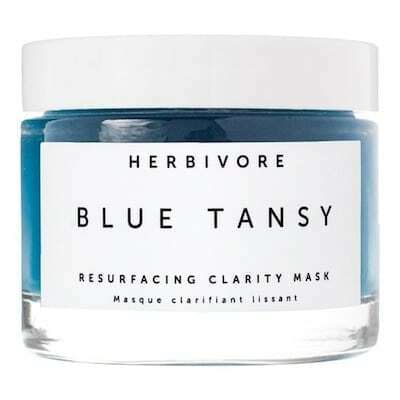 Why it’s great: I discovered this Blue Tansy Mask at Sephora when I was in Maui, and after having used a sample of it for the week I was there, I returned on my last day to buy the full-sized version because I was already seeing results. This mask (which is blue in the pot, but looks almost clear when applied) is made of blue tansy oil, fruit enzymes, and white willow bark. Because it’s a resurfacing mask, I’ve been using it in place of a facial scrub to exfoliate. I was an aggressive exfoliator in my teens/early 20s, but when I found out that even scrubs with the most spherical particles can still cause microtears in the skin, that was enough to convince me to switch. I haven’t found this mask (or any of the ones below) to be irritating at all, and even though there are no scrubbers to be felt in the formula, I can tell it’s doing its job. Another great thing about Herbivore: Their stance on ingredient quality. 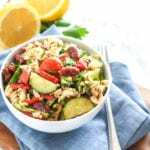 They emphasize plant-based, organic, food-grade ingredients and select each one for a therapeutic reason. They don’t test on animals (and are Leaping Bunny and PETA certified), and use only cold-pressed or steam distilled oils to ensure premium quality and potency. If you’re debating between this and the Herbivore Blue Tansy one, I’d recommend going to Sephora, asking for free samples of each (which they will happily give you) and trying them both to see which one you like best. 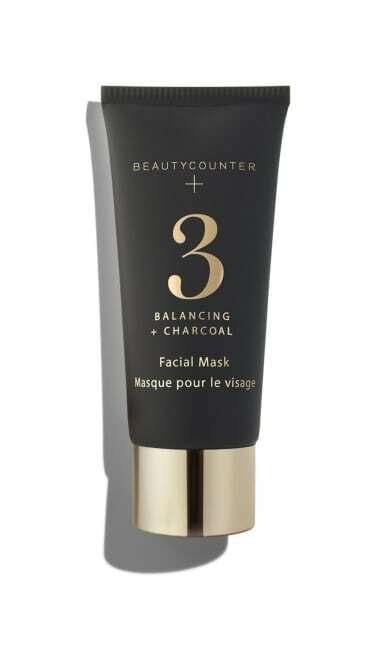 Why it’s great: You’ve probably heard about the benefits of charcoal for detoxification, and that’s exactly why I’ve been using the Beautycounter No.3 Balancing Facial Mask. The main ingredients are kaolin clay and charcoal to draw out skin impurities and absorb excess oil, as well as salicylic acid for gentle exfoliation. This one’s great if your skin is acne prone, or if you live in an environment (such as a busy city with lots of traffic + air pollution) which would cause your skin to become easily congested. I use charcoal masks about 1x/week for this purpose, and while it might sound messy, I love that these natural ingredients can create such powerful results. There’s more about Beautycounter in the cosmetics section of this guide – read on for all the other reasons I’m into them. 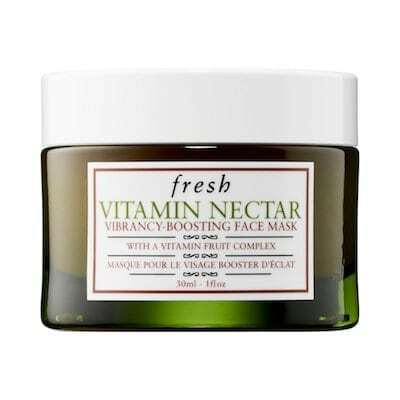 Why it’s great: The Fresh Vitamin Nectar Vibrancy-Boosting Face Mask smells like a dream thanks to lemon and orange extracts. 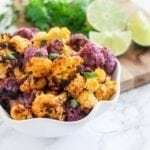 The texture is a little funny (it’s got little jelly-like clumps in it because of the citrus fruits), but it delivers a ton of vitamins C, E and B5, plus minerals for more vibrant skin. 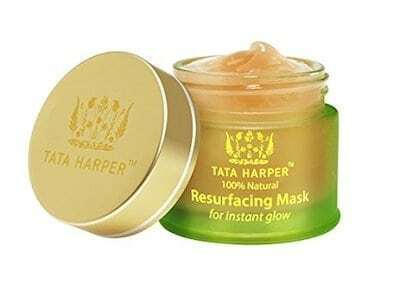 I like to use this when I don’t need much resurfacing or major cleaning (in which case I’d use the Herbivore, Tata Harper or Beautycounter Charcoal Masks instead), and save it for says when I just want a good vitamin boost. Why it’s great: Because it WORKS! If there’s one category of personal care product that I’ve had the least success with, it’s natural deodorants. There are about 5 sticks of natural deodorant from different brands sitting in my bathroom cabinet, but sadly I haven’t liked any. Luckily though, I think I’ve found a winner with Lavanila. 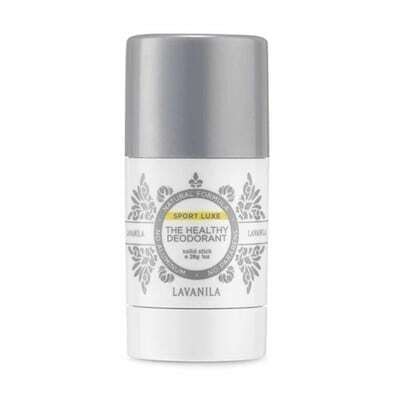 I am a very sweaty, stinky human being when I get moving in the gym, and the Lavanila Sport Luxe deodorant actually keeps that situation under control. It goes on clear, doesn’t make my armpits feel wet within seconds of putting it on, and doesn’t have an overpowering smell. 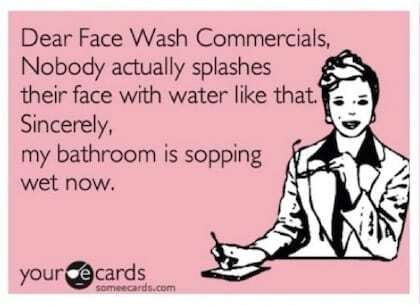 It also doesn’t stain, which is one of my biggest deodorant pet peeves. The formula is free of aluminum, parabens and propylene glycol – three ingredients often found in conventional deodorants that have significant health risks. Lavanila is a brand I wasn’t aware we actually had in Canada because you won’t (yet) find it on standard drug store shelves. I spotted it in Sephora while in Hawaii and was thrilled to learn that it’s also available in Canadian Sephora locations too. Alternatively, you can get it on Amazon. I thought I’d be a foundation wearer forever, and until very recently, have never been able to find a BB cream that provided as much coverage as I wanted. Jane Iredale was recommended to me by my aesthetician and it’s the first mineral makeup I’ve ever committed to. 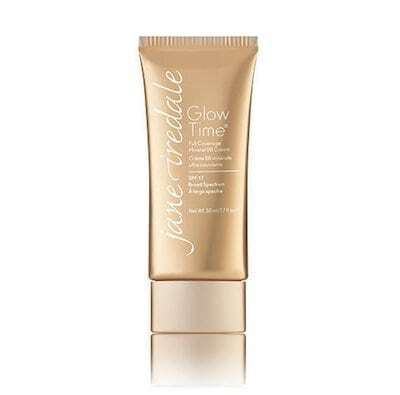 Much to my surprise, the Glow Time Full Coverage Mineral BB Cream has SO much more coverage than I anticipated, Not only does it replace my foundation and concealer, but it’s also non-comedogenic (doesn’t clog pores), contains SPF 25 for sun protection, and its fruit extracts add extra antioxidants and make pores and wrinkles appear smaller/smoother. This one is a BIG winner! Why it’s great: Ever since my Accurate days in my early 20s (yep, I still cringe at the thought), my lips have never been the same. 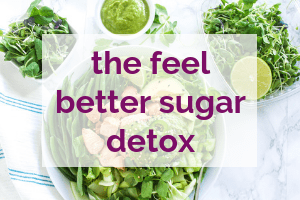 They get really dry – especially in the winter – and because I drink a lot of water and tea throughout the day, most products rub off really quickly. I started using Bite Beauty’s Agave Lip Mask a couple of months ago and have to say that it’s working wonders. You might think that an agave lip mask would be super thick and sticky, and a trap for any hair that blows across your face (ick!) But much to my pleasant surprise, it delivers all that hydration without making me feel like my lips are glued shut. The lip mask comes in clear if you want a completely colourless product, or champagne which has a light pinkish shimmer – that’s the one I bought. 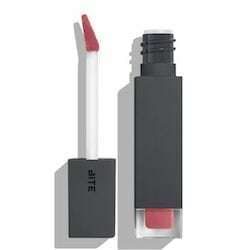 I either wear it on its own, or dab a tiny bit on over the Amuse Bouche Liquefied Lipstick in Eclair. 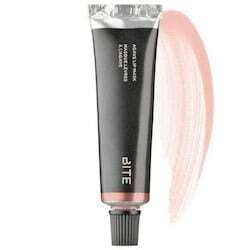 With the exception of the products that are meant to be clear in colour, all of the Bite Beauty lip goodies I’ve tried have a really strong pigment, so a little goes a long way. Ingredients-wise, they’re all made without parabens, sulfates and phthalates, are petrochemical free and delivers moisture thanks to monoi butter and coconut oil. 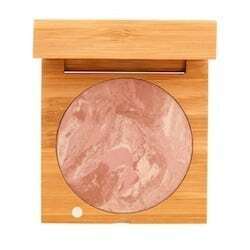 Why it’s great: Not only did I fall in love with the eco-friendly wooden packaging of these compacts, but I also (and perhaps more importantly) love how they look and feel on my skin. The Baked Blush is available in three shades, and the Baked Illuminator (which has a more shimmery finish) in two shades. 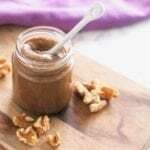 Interestingly, both start out as creams and are baked into their solid forms, but hang on to their silky smooth properties. To add to the greatness, Antonym is both ECOCERT and Leaping Bunny certified. You can read more about their certifications here. Why it’s great: I mentioned Beautycounter above because of the Balancing Facial Mask, but there’s far more to this company that sets them apart. My friend Mandy introduced me to the brand recently, gave me some samples, and asked if I’d like to host an online social to introduce you guys to the products. Of course, I would never endorse anything I didn’t 100% stand behind and believe in, so putting the products to the test first was a must. Product performance aside (and it was fantastic, by the way! ), when I found out how dedicated Beautycounter is to changing the skin care and beauty industry, I was sold. The company has taken a bold stance on this by banning the use of over 1,500 potentially harmful chemicals and other substances from their products – even those that are still allowed by North American regulating organizations like the FDA. Luckily we don’t have to remember to watch out for those 1,500, because Beautycounter has them covered in The Never List. You can do as I do and refer to the list every time you’re making a new purchase, and/or simply choose Beautycounter products and know that the investigative work has been done for you. 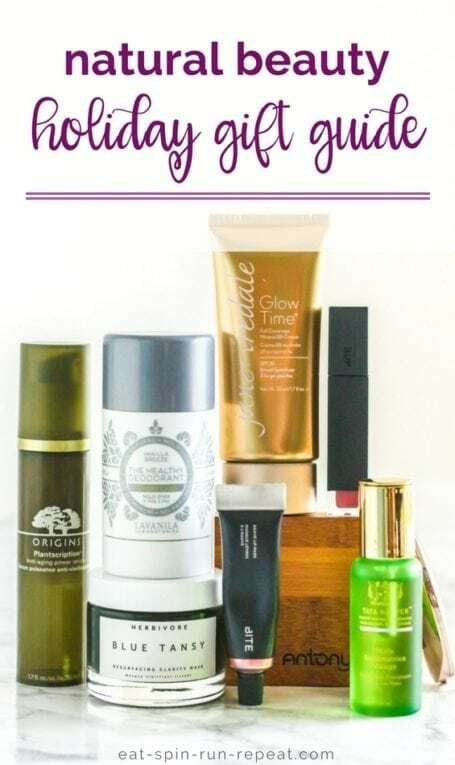 There’s skincare, cosmetics, suncare, products for kids… and lots of new stunning holiday gifts that I’ve had my eye on lately! 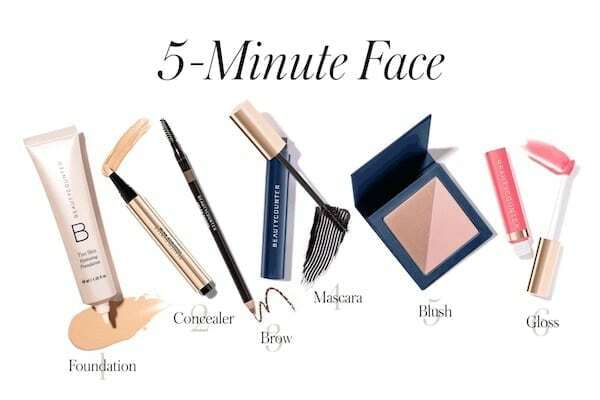 Back to the best all-in one essentials cosmetic kit, the Flawless in Five is a collection of foundation, concealer, blush, mascara, brow pencil and lip gloss. As you’d expect, the products are safe to use, look great, and do great things for promoting skin health. For example, the foundation contains jojoba and hyaluronic acid to hydrate the skin and keep it looking smooth, all while covering imperfections – like the acne scars from my teenage years. ? If you want to pare down your makeup bag to just the essentials, or if you’re travelling with limited space, I think you’ll love this kit. If you’d like to check out Beautycounter and shop the online social that I’m hosting until November 30th, you can do so by clicking on the links above, or by starting here. What are some of your favourite clean beauty products? Any favourite brands that I need to be checking out? Have you prioritized greening up your personal care products this year? Do you have any questions related to clean + green beauty that you want answers for? I don’t claim to be an expert but I can certainly seek out a few! You are amazing for taking the time to do all this research and share your findings! It’s so nice to have a trustworthy reference. You’re the best!! Thank you!!! Aw thanks lovely! (Sorry it took me a while to respond to this!) I am so glad this resonated and was useful to you. Let me know if you try any of these – I’d love to hear what you think, or if you come across any awesome products that I should try! <3 Miss ya! Such a great post! I am going to try what you suggest. Fresh was on my list but I hadn’t heard of the other ones!